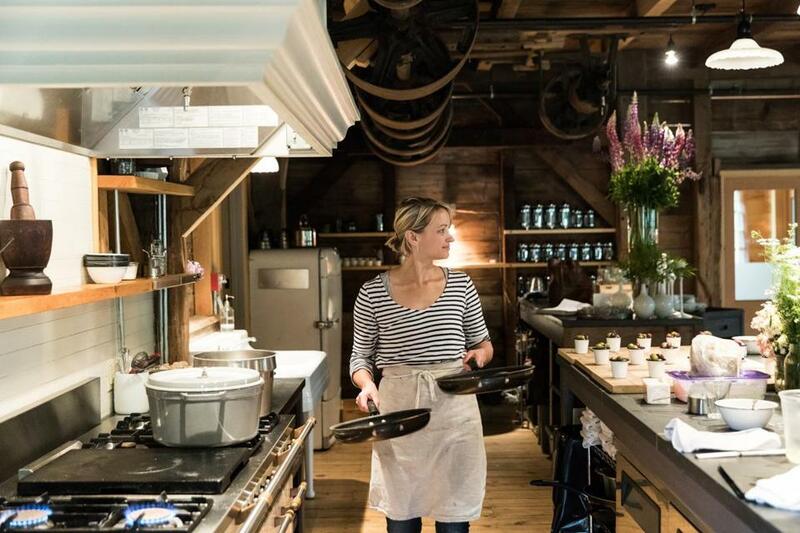 Chef-owner Erin French preps at the Lost Kitchen in Freedom, Maine. The little restaurant in a former gristmill is designed with an open concept that invites guests into the kitchen. It was already hard enough to get a table at the Lost Kitchen. Last year, the 40-seat restaurant in Freedom, Maine, began taking reservations for the season at midnight on April 1. Within 24 hours, it had received more than 10,000 calls. This year, French and her staff knew they wanted to do things differently. Plenty of restaurants take reservations via systems like OpenTable or Reserve. That seemed too impersonal for the little restaurant in a former gristmill. And so comes the big reveal of the 2018 reservation process. New Love Letters podcast: In Season One, Meredith Goldstein explores what happens when love ends in a breakup. Listen to the podcast now, and subscribe via Apple Podcasts, Stitcher, and RadioPublic. “This April the first, please sleep in and let your phone and redial finger rest,” read the instructions. Instead, get yourself a 3x5 notecard, an envelope, and a stamp. Write your name and contact information on one side. On the other side, if you feel like it, you can write a personal note. (It won’t affect your chances, although French saves and savors the notes she has received from customers over the years.) Then put the card in the envelope and send it in. More than 10,000 people called the day reservations opened for the season. The story behind this out-of-the-way restaurant is one of second chances. Cards must be postmarked between April 1 and 10. The staff will begin selecting cards April 11. You can’t request specific dates until your card is picked and you are contacted. And don’t try to game the system by sending more than one card; the Lost Kitchen crew will be entering the information into a computer system, so they’ll catch on. 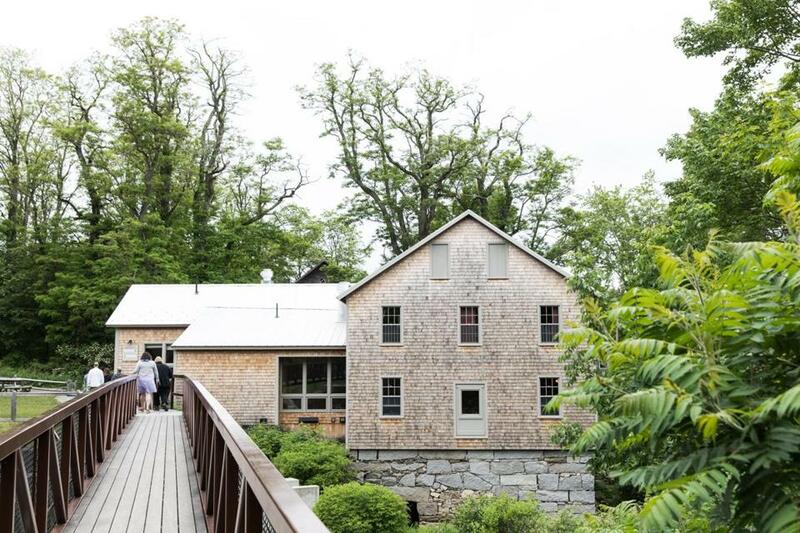 The Lost Kitchen is built in a former gristmill. Meanwhile, to decompress before the season starts, French traveled to France for a month, where she stayed in a little village, studied the language, hiked, and ate. 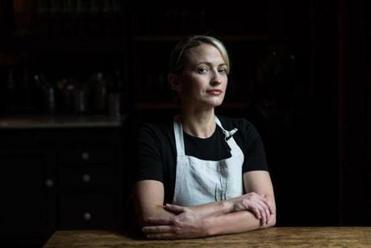 It’s been a big year: Her cookbook, “The Lost Kitchen: Recipes and a Good Life Found in Freedom, Maine,” is nominated for a James Beard award. And she recently signed on to write a memoir. Not everyone will like the change in the reservations policy, she figures. But that’s OK.
For more information on Lost Kitchen reservations, go to www.findthelostkitchen.com. Devra First can be reached at devra.first@globe.com. Follow her on Twitter @devrafirst.